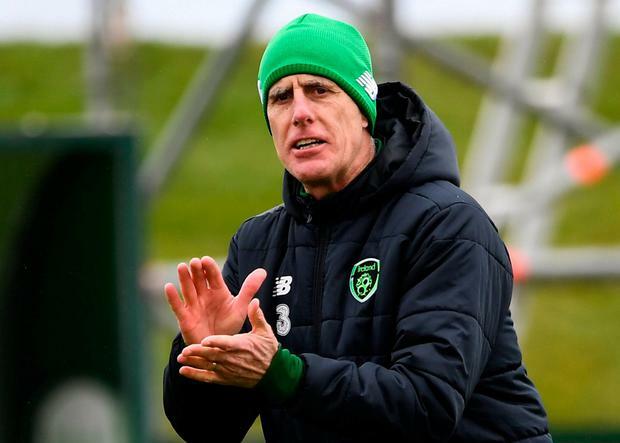 Mick McCarthy believes that substance – and not style – will shape the mood of his second stint as Ireland manager. The 60-year-old was back on the training ground yesterday ahead of Saturday's opening Euro 2020 qualifier in Gibraltar. With just eight games to plot an automatic path to the finals, McCarthy has asserted that his brief is to deliver results – even though concerns about the style of play were one of the factors in Martin O'Neill's departure. "It's really important that we win," said McCarthy, while acknowledging that performances matter. "My remit surely with eight qualifying games is to win as many points as I can. And nobody has ever complained when we're winning so if we can play well and win it would be better, but I'll settle for winning." The loss of Callum O'Dowda, Alan Browne and Ronan Curtis has robbed McCarthy of three in-form players ahead of the Gibraltar encounter and next Tuesday's date with Georgia. He has indicated that Matt Doherty is a strong contender for inclusion on the right side of midfield now that O'Dowda is out of the equation. Robbie Brady will also be considered there, although his lack of game-time at Burnley is a cause for concern. "Doc comes into consideration for that position," said McCarthy.